If you are looking for a Lunch Bag that will not only hold all the kids lunches in but will keep them fresh and cool for up to 8 hours, then look no further! Our gorgeous Apple and Mint Lunch Bags have a patented freezable cooling panel that will make sure you won’t have to throw out warm yoghurts, spoiled sandwiches or browned fruits again. 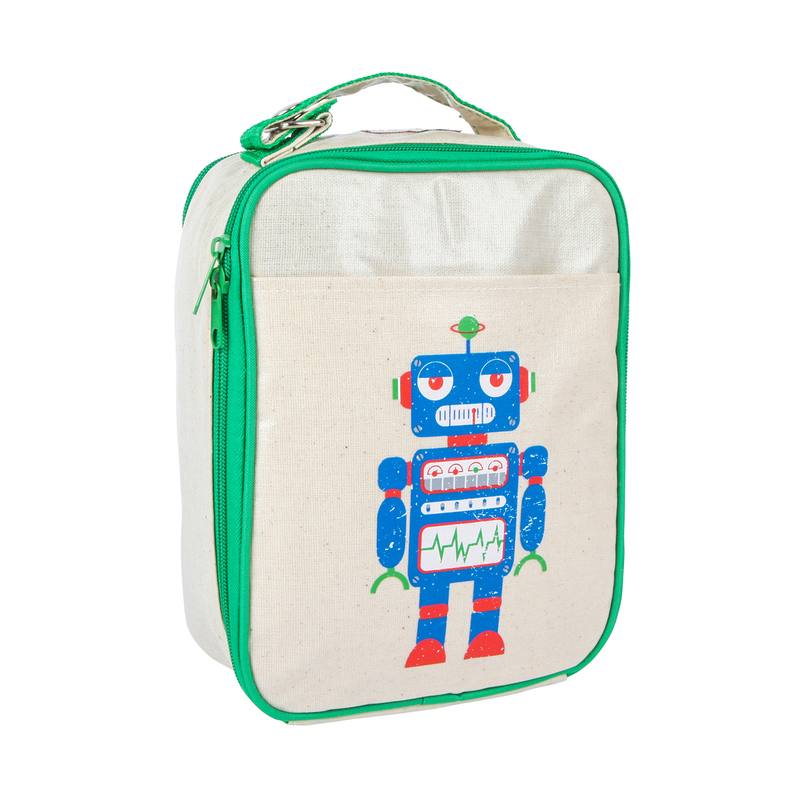 Our Lunch Bags are made of a water-resistant easy clean coated linen exterior and the Green Robot design is sure to suit your growing child for many years to come.